Are swimming in coupons, overwhelmed with clutter instead of cash? This is a common dilema when it comes to coupons! Already tried other organization methods? Envelopes? Binders? Accordian files? Rolodex? All good until you have to use them consistently week in and week out. Over time, the frustration outweighs the function and then coupons become a burden instead of a blessing. Sounding familiar? 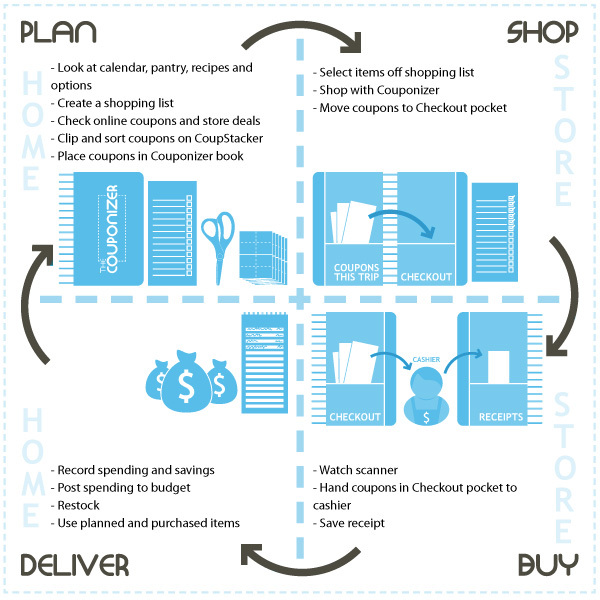 Our system is uniquely designed to solve all the challenges associated with using coupons. If you are beginner, our system will get you started quickly, easily and start saving you real money on your first trip to the grocery store! If you are seasoned couponer and have a HUGE coupon inventory, no need to abandon your long term storage solution! Just add it to enhance what you already have, lots of others have done just this! And... if you are in between, you will be amazed at how attached you will become to your Couponizer and increase your confidence and consistency with using coupons for higher and more frequent savings! The Couponizer booklet - measures 8" tall, 6" wide, 1" deep (before coupons), 18 pockets for grocery coupons, 6 pockets for other coupons such as Restaurants, Retail, Rewards, 2 shopping pockets (Coupons to be used this shopping trip & Checkout), 3 loyalty card card sleeves, metal spiral bind, elastic closure strap, durable plastic covers. When you invest in the right tools any job becoming easier and more enjoyable!! Start accumulating CASH instead of coupon clutter today! I am a long time couponer; I have a large issue with spending money when & where there is a way to save, so I clip coupon's! Because I coupon, we have opportunities to put the money saved towards other thing's that we may need or want or into the bank. Who wouldn't like to have a little extra cash?! The only issue that I have with coupon's is organizing them (or the lack there of). Without organization, I spend time clipping coupons that often go unused, either because I forget that they are there or because I'm unaware that they've expired. I'm in it for the savings not to collect coupons and clutter! Unfortunately I couldn't find a method of organizing them that works.......until I came across The Couponizer! 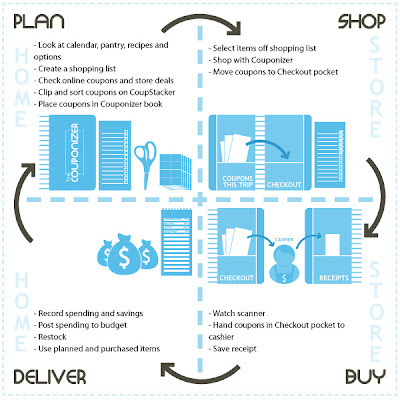 This super efficient method of organizing the couponing process is AWESOME! It includes absolutely everything you need to get back on track with SAVING (and it all packs away neatly into the clear zippered carry bag!). Not only can I sort my coupons easily as I'm clipping them (with the included sorting mat), when I'm shopping I can easily tuck each coupon for item's that I've placed in my cart in a convenient pocket (I'm normally trying to juggle the coupons that I'm using with the one's that I'm sorting through). I love the way that The Couponizer is laid out and all of the included tool's. 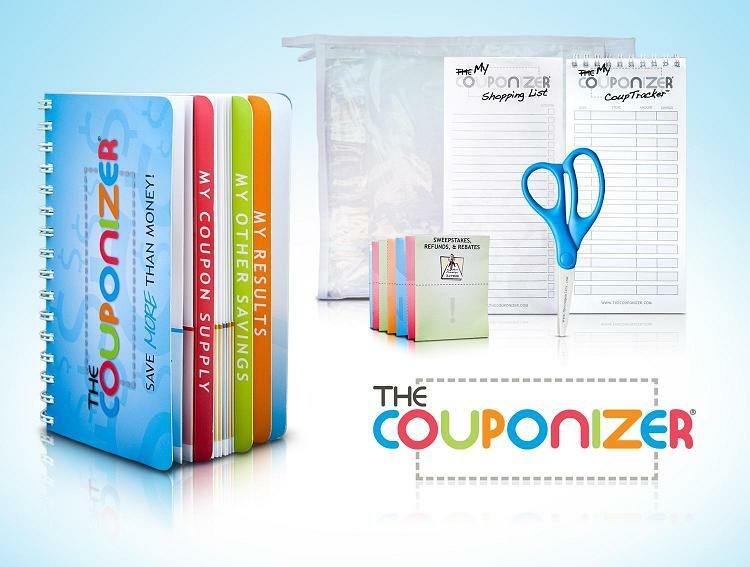 The Couponizer makes couponing so much EASIER & way more EFFICIENT! I would highly recommend The Couponizer to all couponer's! It's an essential tool in maximizing savings! 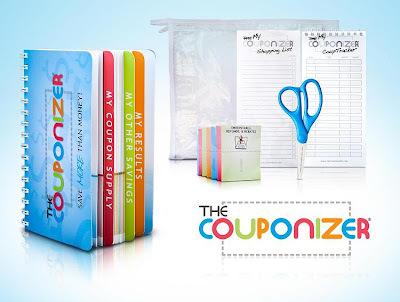 Maximize your savings with The Couponizer! One Lucky Reader will recieve The Couponizer! Leave a comment~ visit http://www.thecouponizer.com/ and let me know which feature of The Couponizer your most excited about. The Comment is considered your entry. 2) Tweet ~Maximize your SAVINGS with The Couponizer! #Win The Couponizer @savvycouponmom #Giveaway (can be repeated twice daily for additional entries~ copy paste please~cut and paste- the bit link must be posted in the tweet - I will check) (Additional 5 Entries - 5 Comments). I'm really excited about the holder pockets it has for other coupons such as restaurant and retail. I like how well-organized this is. I really like having pockets for my coupons for each category. I follow The Couponizer on Twitter 1. I follow The Couponizer on Twitter 2. I follow The Couponizer on Twitter 3. I follow The Couponizer on Twitter 4. I follow The Couponizer on Twitter 5. I follow The Couponizer on Twitter 6. I follow The Couponizer on Twitter 7. I follow The Couponizer on Twitter 9. I follow The Couponizer on Twitter 8. I follow The Couponizer on Twitter 10. I entered The Flip UltraHD 4GB Giveaway 1. I entered The Flip UltraHD 4GB Giveaway 2. I entered The Flip UltraHD 4GB Giveaway 3. I entered The Flip UltraHD 4GB Giveaway 4. I entered The Flip UltraHD 4GB Giveaway 5. I entered your GourmetGiftBaskets.com Giveaway 1. I entered your GourmetGiftBaskets.com Giveaway 2. I entered your GourmetGiftBaskets.com Giveaway 3. I entered your GourmetGiftBaskets.com Giveaway 4. I entered your GourmetGiftBaskets.com Giveaway 5. I entered your Sesame Street: Elmo's A to Zoo Adventure Giveaway 1. I entered your Sesame Street: Elmo's A to Zoo Adventure Giveaway 2. I entered your Sesame Street: Elmo's A to Zoo Adventure Giveaway 3. I entered your Sesame Street: Elmo's A to Zoo Adventure Giveaway 4. I entered your Sesame Street: Elmo's A to Zoo Adventure Giveaway 5. I entered your Crunch Art Mega Set & Frame Set Giveaway 1. I entered your Crunch Art Mega Set & Frame Set Giveaway 2. I entered your Crunch Art Mega Set & Frame Set Giveaway 3. I entered your Crunch Art Mega Set & Frame Set Giveaway 4. I entered your Crunch Art Mega Set & Frame Set Giveaway 5. I entered your Virilux HappyLight 6000 Giveaway 1. I entered your Virilux HappyLight 6000 Giveaway 2. I entered your Virilux HappyLight 6000 Giveaway 3. I entered your Virilux HappyLight 6000 Giveaway 4. I entered your Virilux HappyLight 6000 Giveaway 5. I entered your Udderly Smooth Giveaway 1. I entered your Udderly Smooth Giveaway 2. I entered your Udderly Smooth Giveaway 3. I entered your Udderly Smooth Giveaway 4. I entered your Udderly Smooth Giveaway 5. I entered your Babysitting Mama Giveaway 1. I entered your Babysitting Mama Giveaway 2. I entered your Babysitting Mama Giveaway 3. I entered your Babysitting Mama Giveaway 4. I entered your Babysitting Mama Giveaway 5. I entered your Joovy Scooter Stroller Giveaway 1. I entered your Joovy Scooter Stroller Giveaway 2. I entered your Joovy Scooter Stroller Giveaway 3. I entered your Joovy Scooter Stroller Giveaway 4. I entered your Joovy Scooter Stroller Giveaway 5. I'm most excited by this - I can get all these tags OFF my keychain! cards and gift cards here for easy access. I love the idea of the CoupStacker to organize while clipping! I like that it has a Check Out pocket to get the coupons I'll use ready before I go shopping. I usually have separate envelopes for each category then more envelopes for each store for the coupons I'll use that day.